Thank you for including the J&P’s Peace Camp in summer plans for your youth. We want to make this camp affordable for all willing participants. Please fill out this application and submit it below. Applications will be accepted and reviewed on a first come, first served basis. Is your family receiving any public assistance? We at the J&P strive to include all children who wish to participate in Peace Camp the opportunity to do so. We will award financial assistance between 25% and 100%, based on need and available resources. 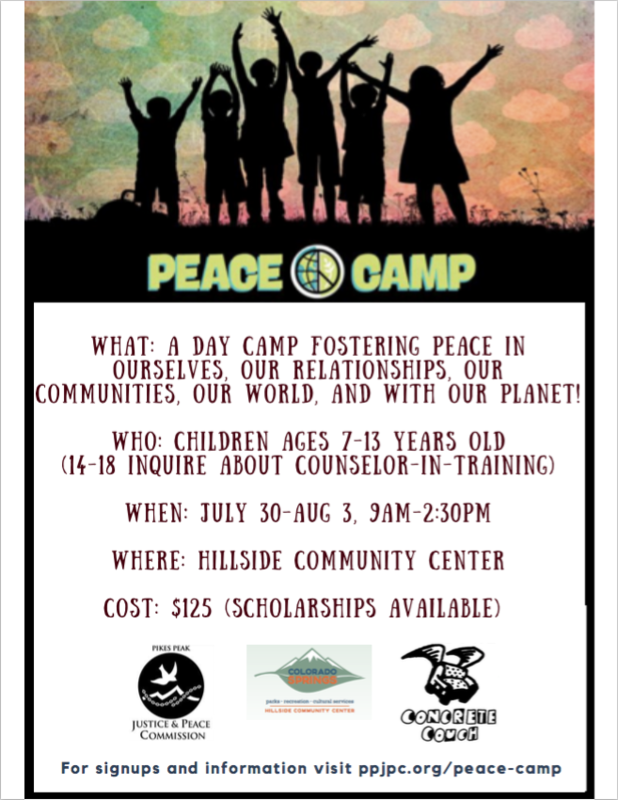 Briefly describe what you hope your child will learn by participating in Peace Camp this year. We will contact you once we review your application. Thank you.